Just to let you know that we'll be holding a wee apple pressing and first autumnal tidy-up day up at Auchinlee garden this Tuesday, 17 October, from 10am till about 4pm. There will be a big pot of vegetable soup on the go for lunch, so even if you're busy that day do come for lunch! Would be lovely to see you all (and anyone you might like to bring, just let us know). Committee meetings. It was agreed at the last meeting to meet on the first Thursday of each month from now on. The next meeting will therefore be held on Thursday, 2nd November at 12 noon, Auchinlee site. We recently welcomed several new trustees we will publish their profiles in due course. Last month we had a productive meeting exploring Permaculture as way of developing the new garden. The site has not been under the plough for many years. New possible links with other community gardens are also being explored. The support of local businesses and people is needed as we prepare and develop the community garden plans for the new site. Offer practical help now, exercise your intellect as a trustee, or donate time or manpower. The charity needs funding too. You can make a difference and really help drive the change. email us now . We have rhubarb, gooseberries, strawberry plants, and tomato plants for sale now. Come and see us soon. A few days ago the KEG trustees were unexpectedly offered the use of a privately owned substantial walled but overgrown field, in which to establish a new garden. At a meeting on Friday 12 May it was decided to try to re-site and create a completely new Community Garden. This will be a large and varied task and the challenge needs to be accomplished with alacrity. It is absolutely vital that new voluntary trustees come forward if this undertaking is to become a reality. In addition to the basic treasurer, secretary, chairperson and ordinary member roles there is a pressing necessity for, a logistics & support team and a fundraising subcommittee of at least three. Other than the need to follow to the charity's stated objectives, the way in which the new Community Garden model develops and runs has yet to be decided . This is a wonderful opportunity to get involved right from the start. We are very excited about the incredible site that has been offered for a New Community Garden. We need a new volunteer network of green-fingered folk & handy people as well as organisers to manage and implement new ideas for a New Community Garden. Your views and participation matter. By the end of the month we will know what is happening to Auchinlee Care Home. We hope it will be safe for another year, but... that does not mean the Community Garden will be safe... If you have enjoyed visiting the garden, its produce, its open days and events and want to see it continue, we need your help. Tell us what you can offer. We have some ideas but We Want YOU to TELL US how you would like to use the garden in the future by emailing us today at campbeltowngardeners@gmail.com. Or... Come up and visit and tell us in person. Due to management difficulties, the above website has been taken down. 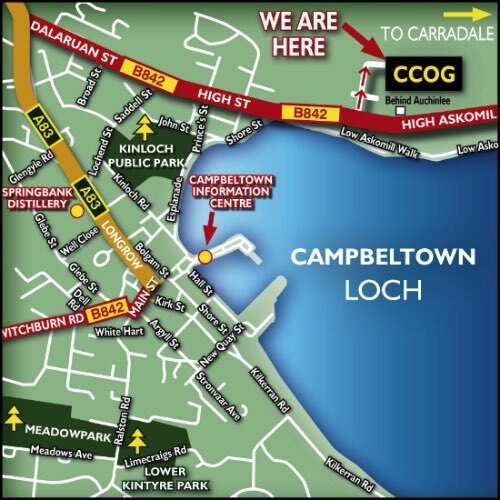 Find out all about Campbeltown Community Orchard and Garden and follow our progress at Campbeltowngardeners.blogspot.co.uk. We will establish the URL Campbeltowngardeners.org.uk any day now. We need volunteers to keep and 'grow' the garden. Tell us what you can offer by way of garden work, planning, fundraising, I.T.skills. If you want to see the Community Garden continue, whether on its present site or a new site get in touch now. Email us at campbeltowngardeners@gmail.com or click on the link. We are continuing as best we can at Auchinlee and are totally reliant on volunteers. Could you spare a few hours a week to help with weeding, watering? If you are new to gardening, we can show you what to do. If you are a handyman we can use your skills. Can you help with fundraising or logistics? With your active participation and support we will succeed without it, we may still have to close. DON'T LET THAT HAPPEN! (c) Kintyre Environmental Group 2017. Simple theme. Powered by Blogger.